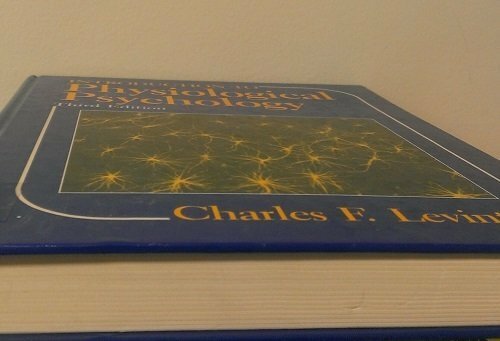 9780134003047 | 8 lslf edition (Prentice Hall, October 2, 2015), cover price $68.00 | About this edition: NOTE: This edition features the same content as the traditional text in a convenient, three-hole-punched, loose-leaf version. 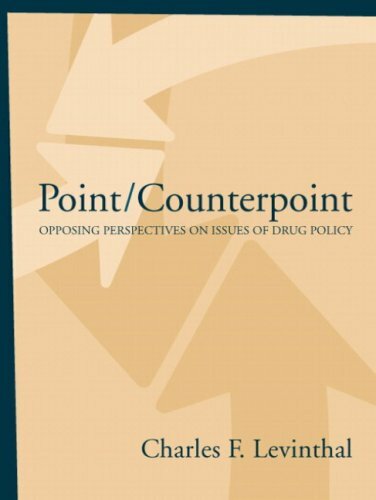 9780205959334 | 8 edition (Prentice Hall, June 26, 2013), cover price $185.40 | About this edition: Provides students with a deeper understanding of what impacts drug use. 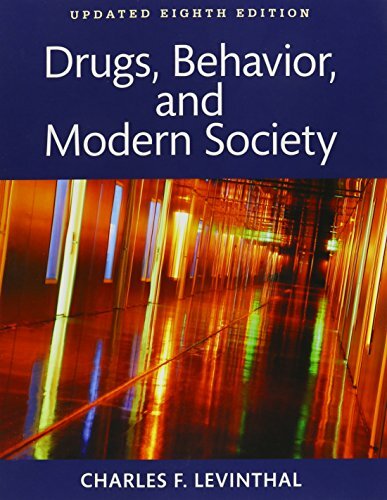 9780205483297 | 5th edition (Allyn & Bacon, January 24, 2007), cover price $108.00 | About this edition: This text examines the impact of drug-taking behavior on our society and our daily lives. 9780205407842 | 4th edition (Allyn & Bacon, July 1, 2004), cover price $89.00 | About this edition: This text covers the range of chemical substances that affect our minds and our bodies and discusses the challenges these substances bring to our daily lives. 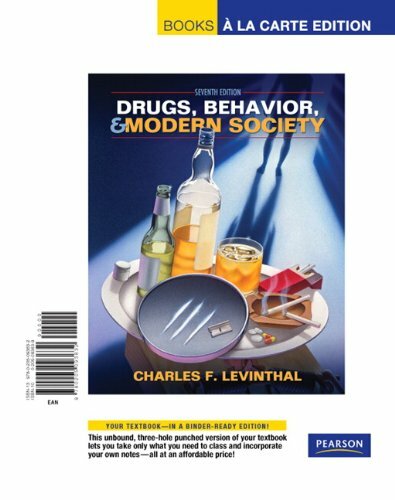 9780134003108 | 8 psc upd edition (Prentice Hall, June 29, 2015), cover price $92.60 | About this edition: REVELâ¢ for Drugs, Behavior, and Modern Society examines the impact of drug-taking behavior on our society and our daily lives. 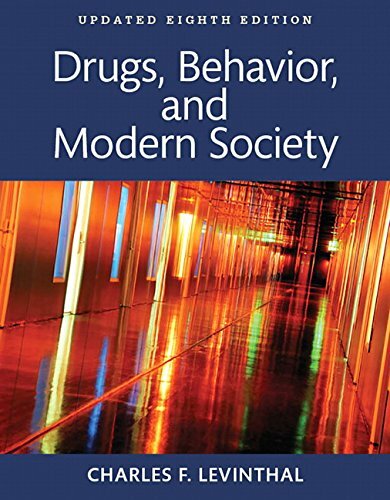 9780133802580 | 4th edition (Prentice Hall, July 6, 2015), cover price $142.80 | About this edition: For courses in Drugs and Crime, Drugs and Criminal Justice, Drugs and Society, and The Sociology of Substance Abuse Drugs, Society, and Criminal Justice is a highly readable introduction to the major facts and issues concerning criminal justice and drug-taking behavior in America today. 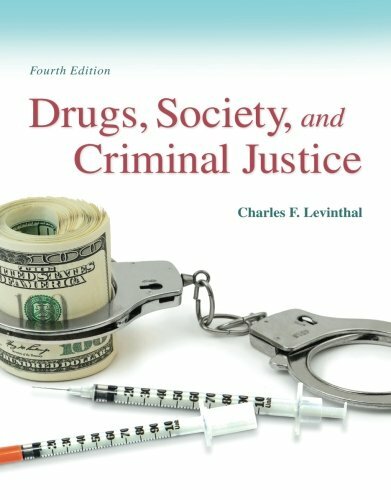 9780135120484, titled "Drugs, Society and Criminal Justice" | 3 edition (Prentice Hall, January 30, 2011), cover price $142.80 | About this edition: Unique in approach, DRUGS, SOCIETY AND CRIMINAL JUSTICE, 3/e examines drug use, drug misuse, and drug abuse from a criminal justice perspective. 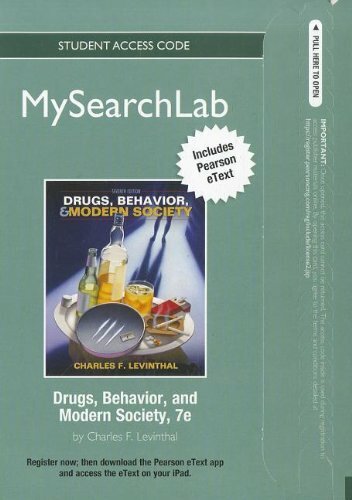 9780135138069 | 2 edition (Prentice Hall, December 1, 2007), cover price $131.00 | About this edition: An adaptation of Levinthal’s Drugs, Behavior and Modern Society 5e, the second edition of this successful, widely-regarded, highly readable and pedagogy-oriented textbook on drug use and abuse is oriented toward a sociological/psychological perspective, with particular attention to issues related to drug-related crime and the criminal justice system. 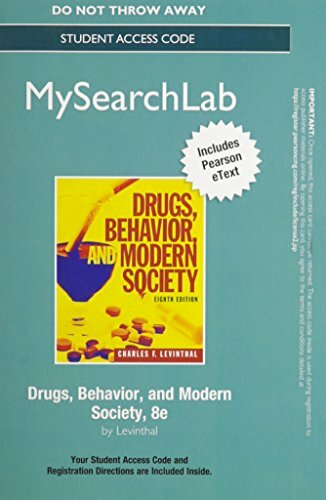 9780205439706 | Allyn & Bacon, October 7, 2005, cover price $91.00 | About this edition: An adaptation of Levinthal’s Drugs, Behavior and Modern Society this successful, widely-regarded, highly readable and pedagogy-oriented textbook on drug use and abuse is now oriented toward a psychological/sociological perspective, with particular attention to issues related to criminal justice. 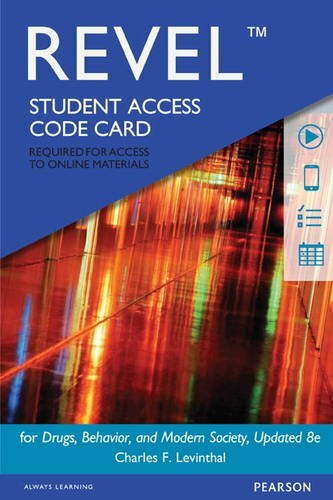 9780205961344 | 8 psc edition (Prentice Hall, June 6, 2013), cover price $68.33 | About this edition: ALERT:Â Before you purchase, check with your instructor or review your course syllabus to ensure that youÂ select the correct ISBN. 9780205678952 | Pck pap/ps edition (Prentice Hall, February 13, 2009), cover price $106.67 | About this edition: MySearchLab provides students with a complete understanding of the research process so they can complete research projects confidently and efficiently. 9780205336074 | Prentice Hall, August 1, 2002, cover price $100.00 | About this edition: The world of legal and illegal drugs is examined from a sociological, historical, and biological perspective through articles garnered from popular magazines, medical journals, and government documents.